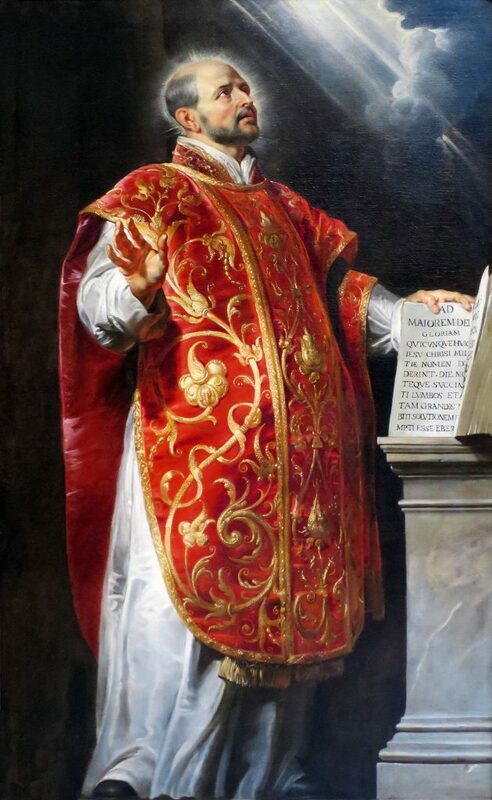 We are delighted to invite you to on a pilgrimage tracing the life and spirituality of St. Ignatius Loyola across Spain’s beautiful cities and landscapes. Our life is a pilgrimage, a journey of faith to deeper communion with God and with one another. In many traditions, the faithful journey as pilgrims along the paths of the saints. Join Fr. 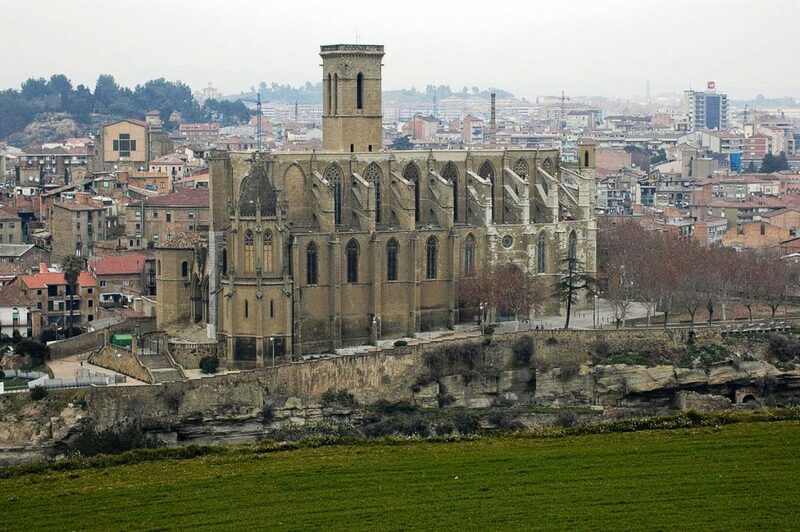 Julio Giulietti, SJ, our retreat director, on this pilgrimage to Spain as we pray together, enjoy new sites, experience community, and deepen our awareness of God’s grace. As we trace the life and spirituality of St Ignatius Loyola, we also celebrate the common life we share with fine wines and regional foods. 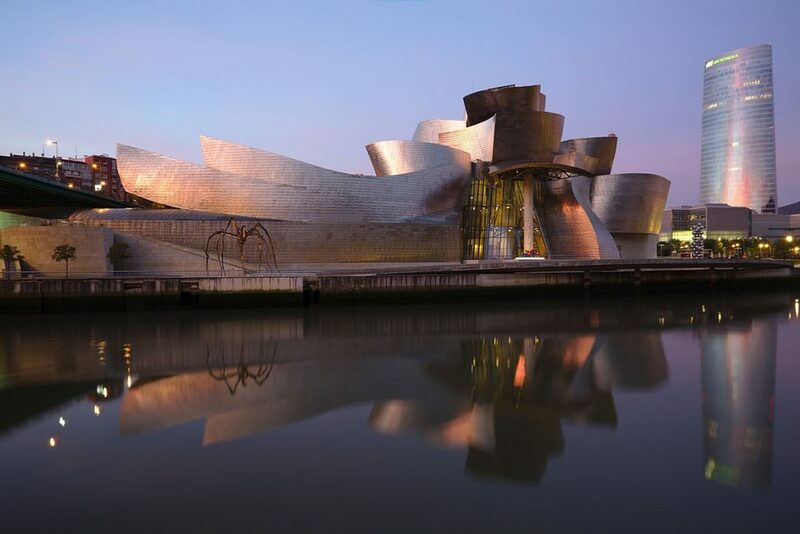 We begin in Bilbao with a visit to the Guggenheim Museum and continue to the town of Azpeita for a three-day retreat at the Hotel Arrupe near the Sanctuary of Loyola. We have retreat talks on the life of Ignatius of Loyola and special prayer opportunities at various pilgrimage sites nearby. We journey next to Pamplona, where Ignatius was wounded. As we make our way south, we visit the ancient monastery of Leyre. 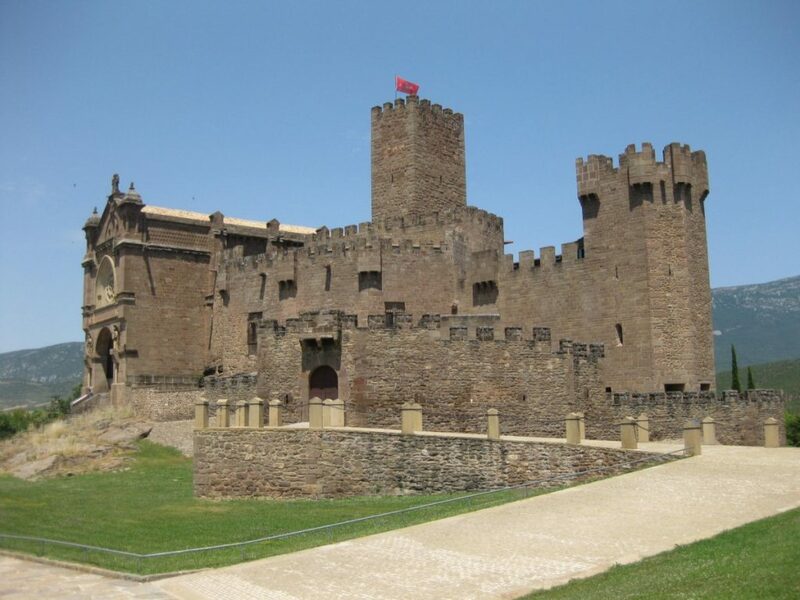 then on to Javier, the birthplace of St. Francis Xavier and its Castillo. 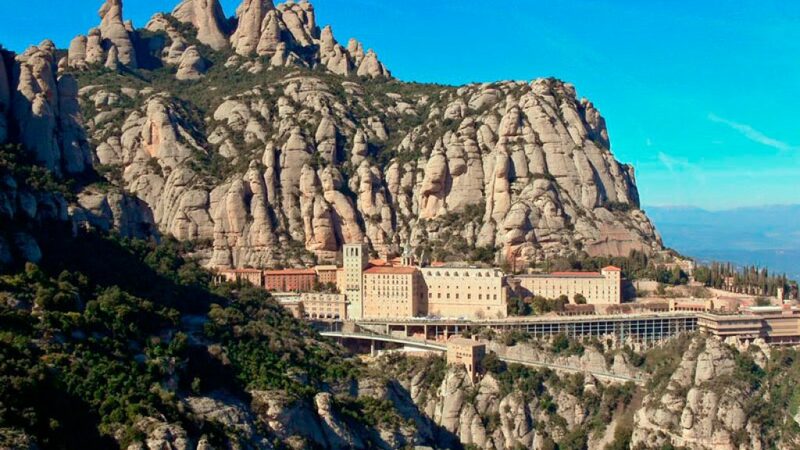 As we ascend Montserrat, we view the breathtaking vistas of the Catalan and enjoy the beauty of this Benedictine monastery. As we ride along the Cordoner River, we remember The Pilgrim at the cave of Manresa where Ignatius wrote the Spiritual Exercises. 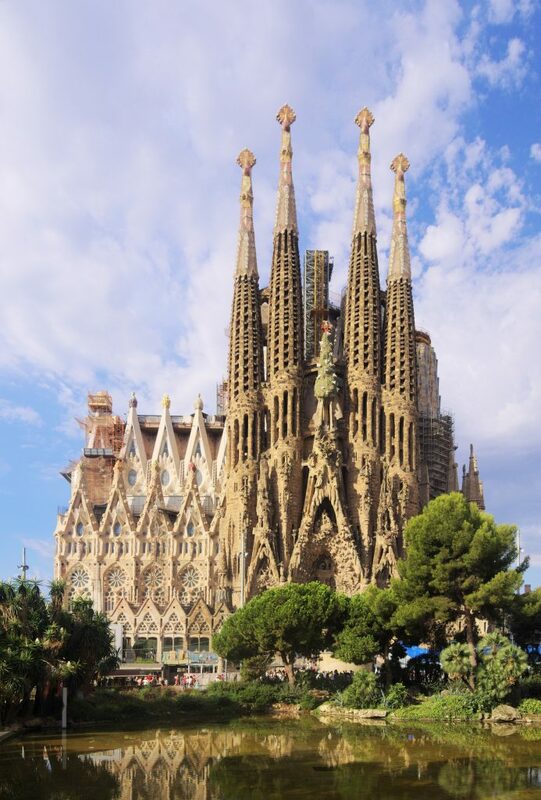 We conclude our pilgrimage in Barcelona with a festive Eucharist at Sagrada Familia, a special sightseeing program around the city, and a farewell lunch. >> BOOK NOW – REGISTRATION CLOSES MAY 5: Reserve your space on this once-in-a-lifetime pilgrimage! 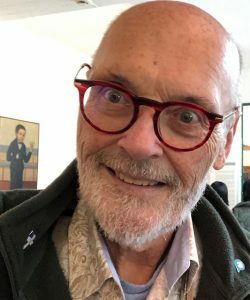 Thomas A. Kane, CSP is director of Paulist Pilgrimages and has led small groups to various parts of the world for twenty years, exploring the culture, history and spirituality of place. An internationally known ritual maker and videographer, his research interests include the area of arts, communication, liturgy and culture. Dr. Kane studies contemporary worship and celebration and has written and lectured on liturgy, dance and creativity in the US and abroad. He has recently retired from the faculty of the Boston College School of Theology and Ministry in Chestnut Hill, MA. At present, he oversees Paulist Reconciliation Ministries, which sponsors Landings, a lay-led program that welcomes home returning Catholics. He is a member of the Apostolateship of the Sea and enjoys his days at sea. Fr. Julio Giulietti, S.J. has guided many Loyola Experience pilgrimages with great success. He is a seasoned retreat director in Ignatian Spirituality and a Research Fellow at Georgetown University with a focus on Southeast Asia. He was the coordinator of the Myanmar Leadership Institute and founded the Loyola Vietnam Centre. 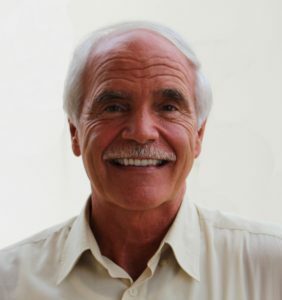 He has previously served as president of Wheeling Jesuit University, as director of Boston College Center for Ignatian Spirituality, and as director of Georgetown University’s Center for Intercultural Education and Development. He brings a wealth of spiritual insight to our pilgrimage experience. Wednesday 3rd July 2019: We each make our independent flight arrangements to Bilbao. 4th – 5th July, NH Hotel – Bilbao. 5th – 8th July, Hotel Arrupe – Loyola. 8th – 10th July, Hotel Parador – Sos del Rey Catolico. 10th – 11th July, Hotel Abat Cisneros – Montserrat. 11th – 14th July, Ayre Hotel Caspe – Barcelona. Meal Plan = 10 breakfasts, 7 lunches and 7 dinners. Coach transfers as per the itinerary. Guided tours as per the itinerary. Entrance fees as per the itinerary. English-speaking Tour Manager to accompany the group whilst in Spain. ABTA financial protection. Single room supplement is $500 per person for 10 nights with limited availability. Extras: Meals not included in the itinerary. Drinks with meals (other than those mentioned in the itinerary. Terms of Payment: A non-refundable deposit of $350 through online registration. Final payment to be received by Pax Travel no later than 3rd April 2019. The tour price is guaranteed for bookings PAX Travel receives by 14th January 2019. Any bookings received after this date may be subject to a currency surcharge.